Yew Fei has represented clients on a wide range of commercial disputes including shareholders, companies, banking, finance and trust matters. He also frequently advises on employment, tenancy, estate and professional negligence matters. He does both court work and arbitration. He has represented banks and financial institutions in the height of the credit crisis in 2008 and 2009. Yew Fei has also acted for private equity firms and funds in disputes. He advises on various fraud and breach of fiduciary duties actions, acting for companies, directors and shareholders. 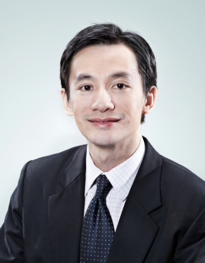 Yew Fei has also represented directors of public listed companies, remisiers and dealers prosecuted under the Companies Act and the Securities and Futures Act for various offences such as criminal breach of trust, cheating, stock market manipulation as well as non-compliance with conditions in dealer’s representative licence. Yew Fei’s experience in arbitration work cuts across the investment, banking, private equity, insurance, oil and gas, infrastructure and construction industries. He has represented a consortium in a joint venture dispute over an exploration project in a Middle Eastern country and a multinational in a dispute over a lucrative distributorship in China. He has advised clients on ports and infrastructure-related disputes. In his diverse commercial practice, he frequently acts in shareholders disputes, insolvencies, banking claims and joint venture disputes. He represents various families in their trust and estate disputes as well.